A Summer Fayre event was staged in the dip at Minnis Bay to raise funds for the events surrounding the switching on of the Christmas Lights in Birchington. 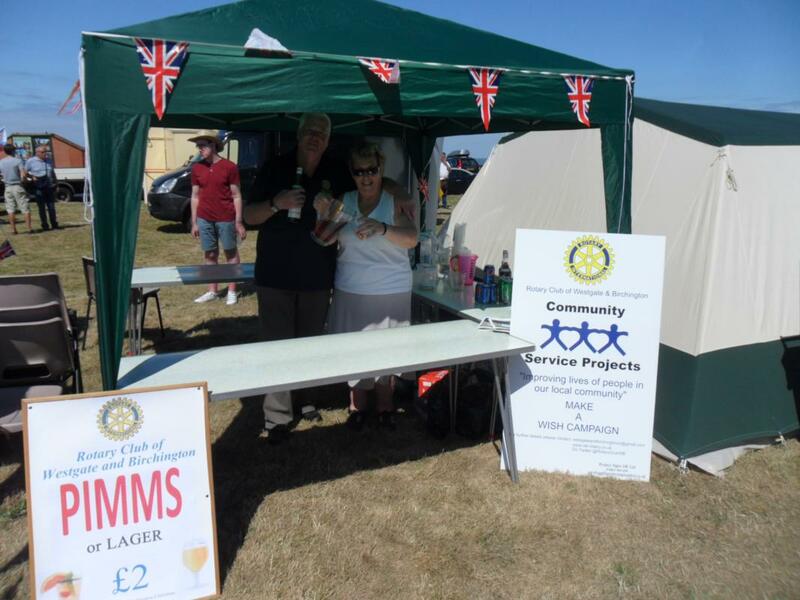 The Rotary Club was invited to set up a "PIMMS" tent selling delicious cocktails, lager and soft drinks. Business was steady on the Saturday because a goodly crowd turned out to enjoy the sunshine. On Sunday it was a bit grey and there were fewer people but there were still plenty of thirsty customers. Notwithstanding the weather, Rotarians and friends enjoyed a great social occasion and raised over £250 for charity. We will make a donation towards the costs of staging the Christmas Lights event this year and hope to make the PIMMS tent a regular event.